Hi, I just read your post about you using Behr premium plus ultra paint and primer on you kitchen island last year. After a year, how is the Behr premium plus ultra paint holding up? I am painting some new bare wood furniture this week and purchased the Behr paint and primer but didn’t purchase a base coat primer. Do you regret not doing a regular primer coat first? Thanks for any advice, I am a newbie at this and want to do it right the first time. What a great question, Tammy! Especially since I move from project to project quickly and don’t always give the previous projects much consideration, past being happy they are finished. Your question has made me stop and take a look at my kitchen island again and now that I have a new appreciation for it, I must say it has held up quite nicely! Despite being used for food prep everyday and then being washed down, the painted edge around the island’s countertop has held up well. The paint has really taken the beating that is required of it on a daily basis and I wouldn’t change a thing! I got exactly what I wanted out of the paint for the kitchen island project. And I definitely don’t regret not using a regular primer coat first, because the paint has held up very well and still looks great. However, there are benefits of using a regular primer first on bare wood, especially if you are expecting your results to look professional. Not to say that paint on my kitchen island doesn’t look amazing, just that a more discerning eye could pick out that the island was not primered first. The problem with not using a separate primer first is that wood absorbs the paint differently in different areas based on the grain of the wood surface. And this can make some patches of paint look slightly less glossy than others. This is something that is difficult to notice and would take being a perfectionist to see, but I know it does bother some people. And it may be more noticeable on larger pieces of furniture like table tops or dresser drawers, where there is a bigger section of solid wood to paint. On my kitchen island, you can see a little bit less of a shine on the end pieces of the wood compared to the side pieces. This may have been corrected by another coat of paint, or may have been less noticeable if I was using a lighter color. But honestly for me it wasn’t as big of a deal. The main focus of my kitchen island is the tile top. I painted the remainder of it black so that it would fit in with my kitchen and not stand out. I’m really not trying to confuse you more with my answer. I’m just trying to get you to consider all of your options and look at your desired outcome. Speaking for myself, I’m happy with the results I got by only using the Behr Premium Plus Ultra Paint and Primer. 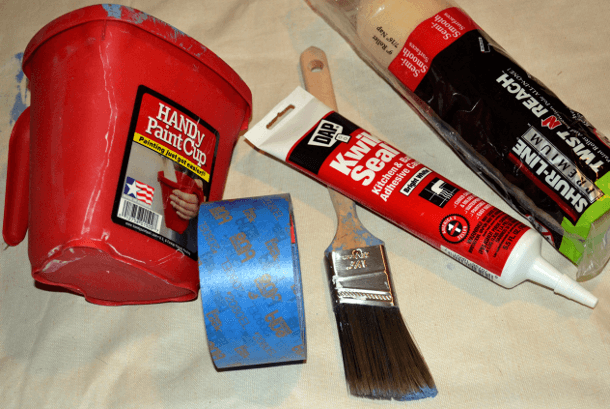 You, however may want to consider using a separate primer first, depending on what type of furniture you are painting and whether or not you’re a perfectionist or are willing to apply additional coats of paint. Either way works well, you just want to make sure you are happy with the amount of time it took you to complete the project, plus the way the furniture looks when you’re done!